Would make a beautiful breeder! 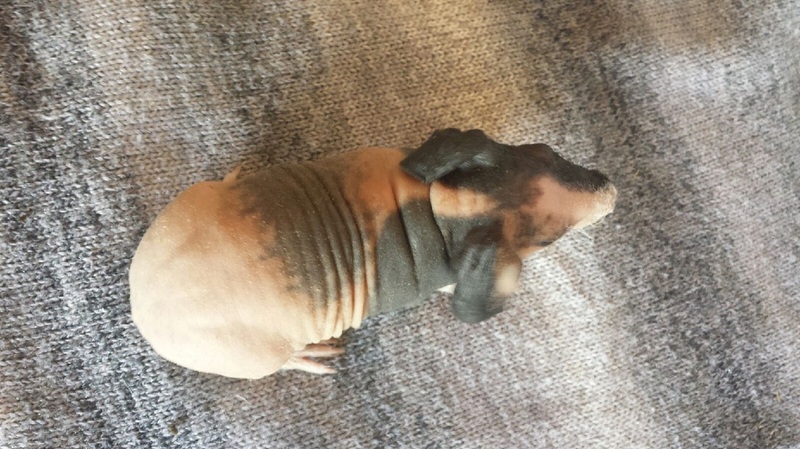 She is a 1st generation skinny pig gene carrier! She has very dark ruby eyes, with blue rims. BB's Diablo Boy! 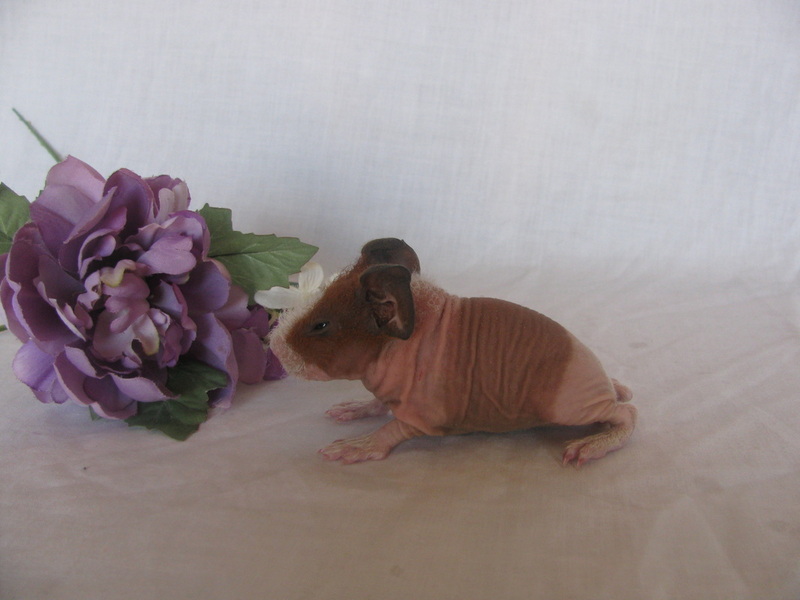 Sire: HHH's Gremlin Dam: K&J's Gingernut 1st Generation Gene Carrier Color: Black With Red Hairs Price: $25 Reserved! HHH's Onyx Boy! 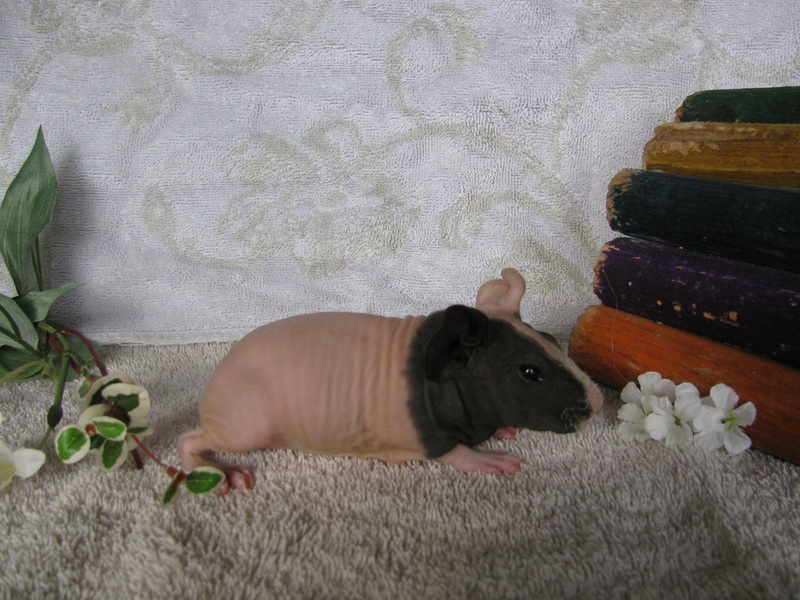 Color: Self Black Born: March 25, 2011 Sire: ASP's Maximus King Dam: SWC's Daquiri Girl Price: $25 Reserved for Grace! BB's Jay Boy! 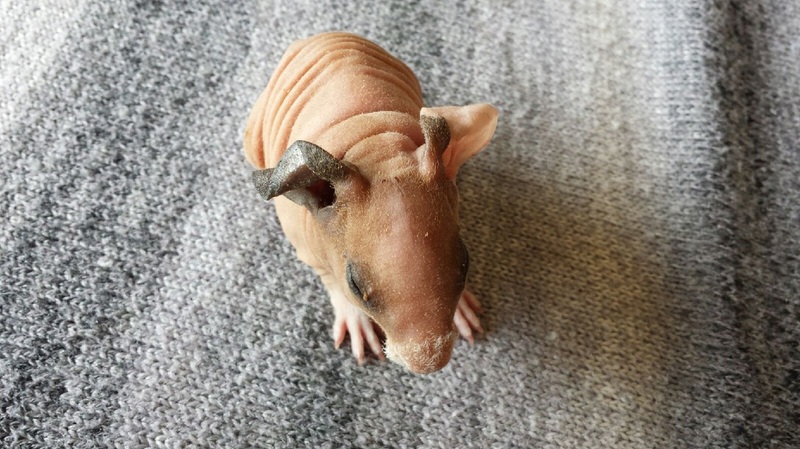 Color: Red/White (Very little black) Born: January 31, 2012 Sire: HHH's Milos Dam: BB's Eva 1st Generation Skinny Gene Carrier! Price: $20 Reserved! 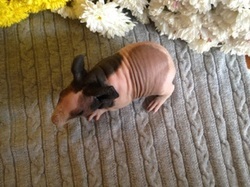 BB's Mia Girl Skinny Pig! 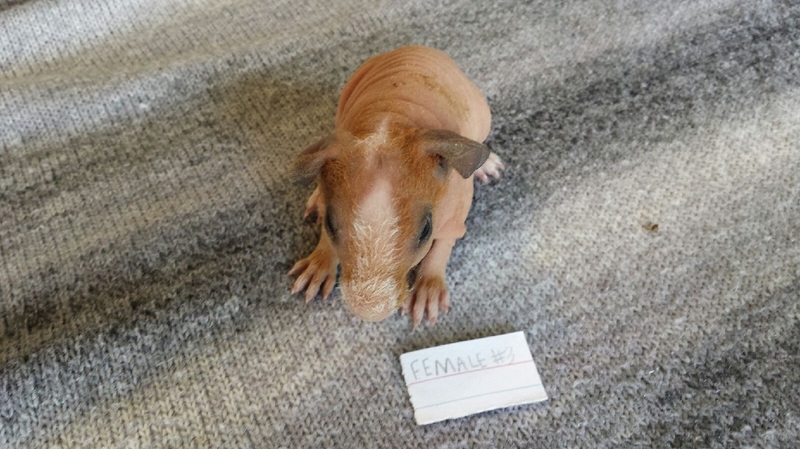 Colors: Red & White Sire: HHH's Gremlin Dam: DKC's Ester Born: March 9, 2012 Price: $100 Reserved for Samantha! GLS's Nutmeg Girl! 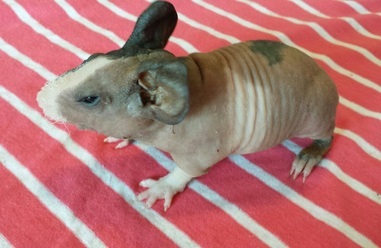 Sire: YS's Rodney Dam: C's Millie Color: Tri-Roan 1st Generation Gene Carrier Price: $35 AVAILABLE! BB's Hershey Boy! 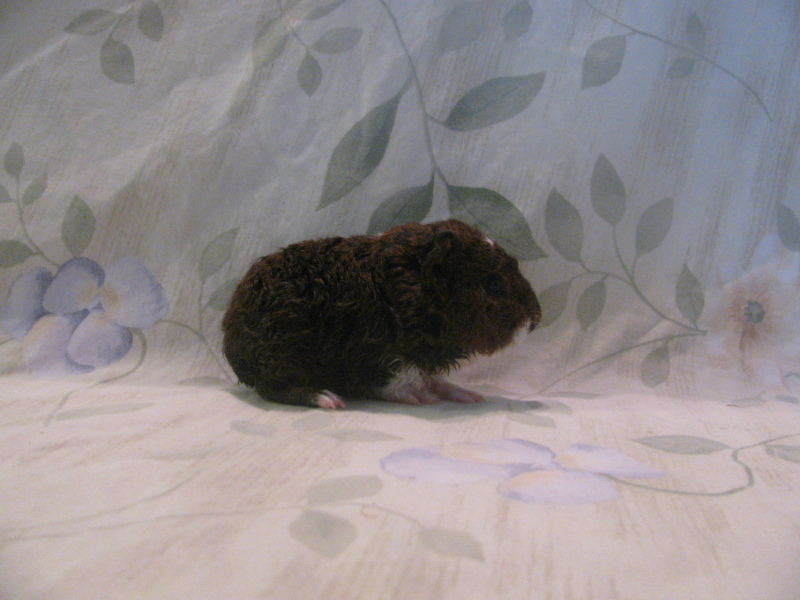 Color: Self Chocolate Born: Feb. 6, 2012 Sire: BB's Pongo Dam: HHH's Hallie Price: $90 Sold to Alix! BB's Jace Boy! 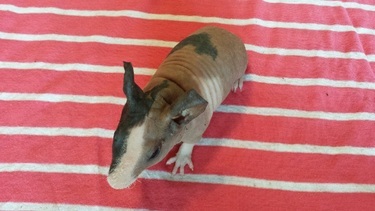 Color: Black, Red & White Born: January 31, 2012 Sire: HHH's Milos Dam: BB's Eva 1st Generation Skinny Pig Gene Carrier! Price: $35 SOLD! 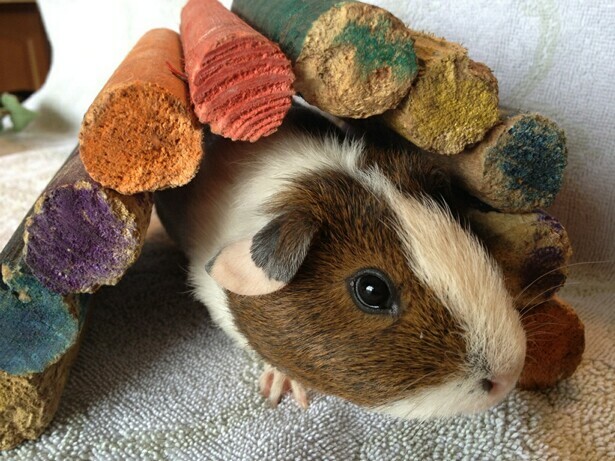 Can be brought with his brother for $50!! 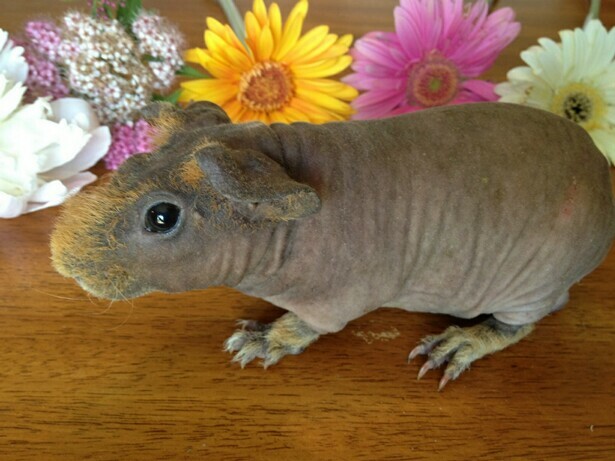 BB's Roan Color: Chocolate/White Roan Born: February 6, 2012 Sire: BB's Pongo Dam: HHH's Hallie 2nd generation gene carrier! Price: $35 SOLD!! BB's Spud DOB: December 26th Sire: Patches Dam: Zoey Colors: Red/White Roan Breed: Mixed Breed Price: $40 Sold to Kari! BB's Lance Boy! DOB: October 28th, 2011! 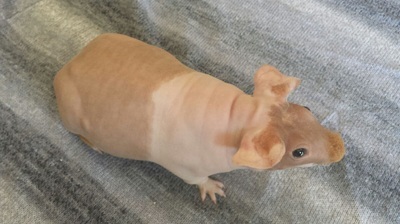 Colors: TSW Sire: Dominos Dam: June Price: $40 Reserved for Shelley! He carries both the skinny and dalmatian gene! 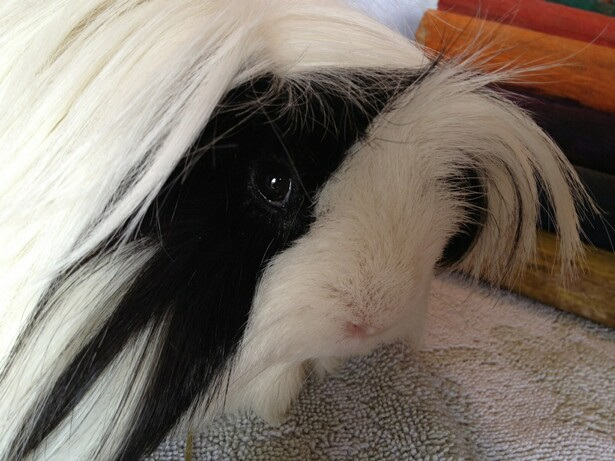 Mellie Girl Born: October 10, 2011 Colors: Black & White Silkie Sire: Aidan Dam: Blaze Price: $45 Reserved for Tommy! 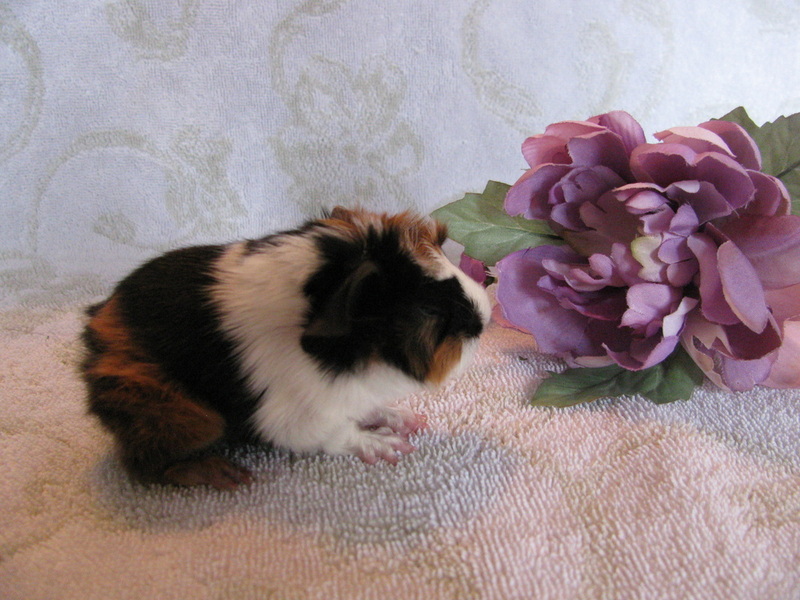 BB's Alex Boy Born: October 10, 2011 Colors: Red & White Sire: Gremlin Dam: Ester Price: $85 Reserved for Samantha! 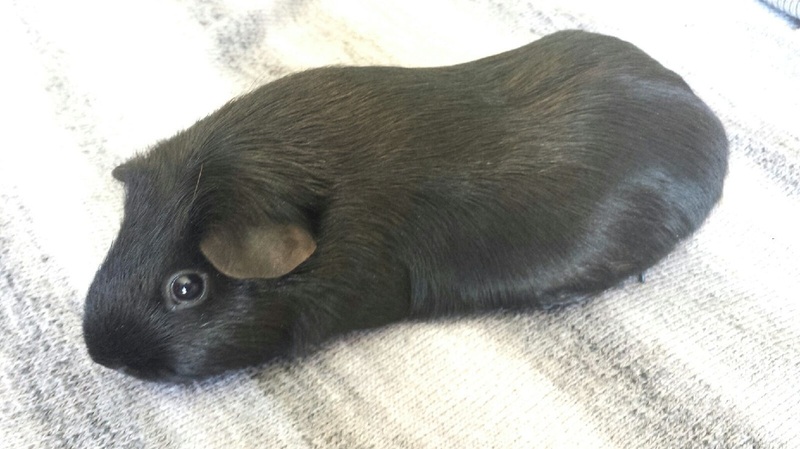 Dannie Boar DOB: September 15, 2011 Color: Mostly black Sire: Unknown Dam: Chloe Price: $15 Sold to Olivia! 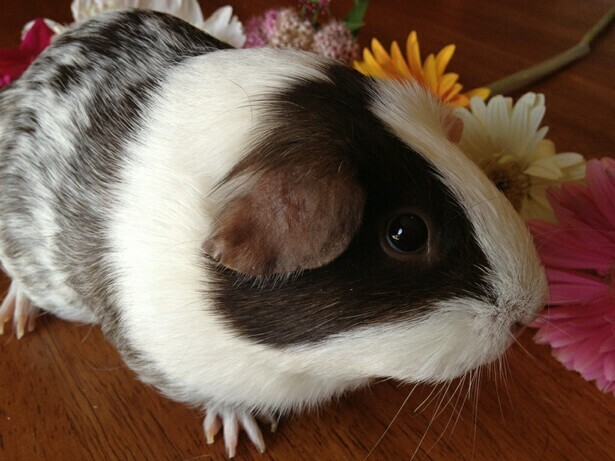 Isabel Girl DOB: September 15, 2011 Colors: Black & Red (1 white paw) Sire: Unknown Dam: Chloe Price: $20 Sold to Kirsta! Casey Girl DOB: September 15, 2011 Colors: Black,Cream & White Sire: Unknown Dam: Chloe Price: $20 Sold to Kirsta! 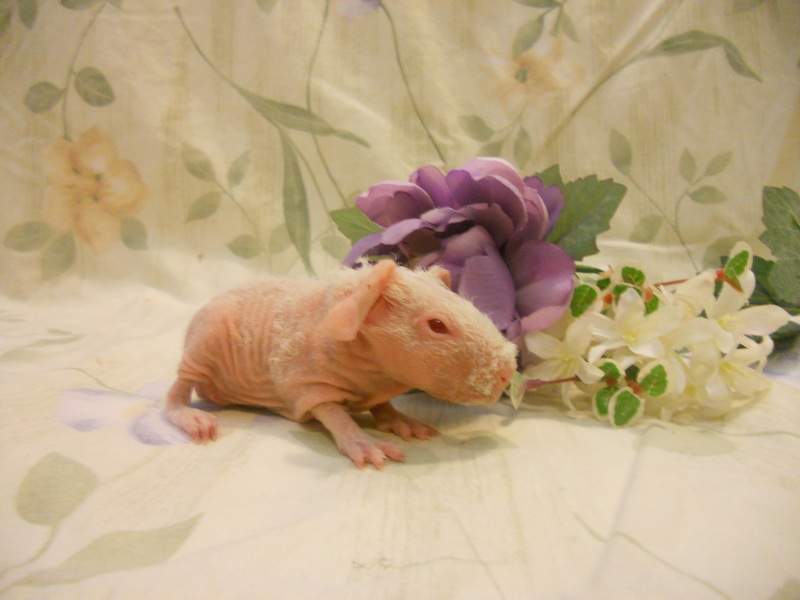 Kyle Boy Born: September 18th Colors: Lemon Agouti, Cream & White Sire: DKC's Noah Dam: Kallie Price: $20 Sold to Johann! Lynn Sow DOB: Late April, 2011 Colors: TSW Parents Unknown Price: $20 Sold! She is looking for a forever home! She's very sweet and does wonderful with kids! 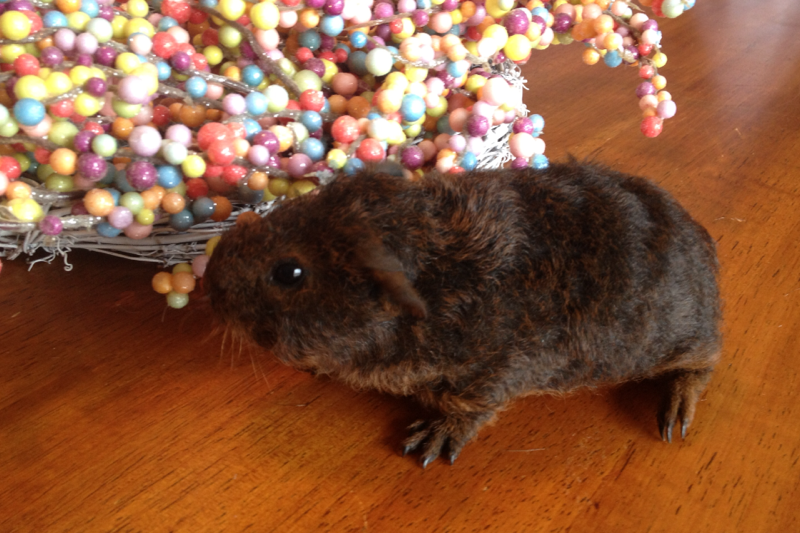 DKC's Noah Boar DOB: Late April, 2011 Colors: Chocolate, Red & White Sire: Pending Dam: Candy Price: $10 Sold! 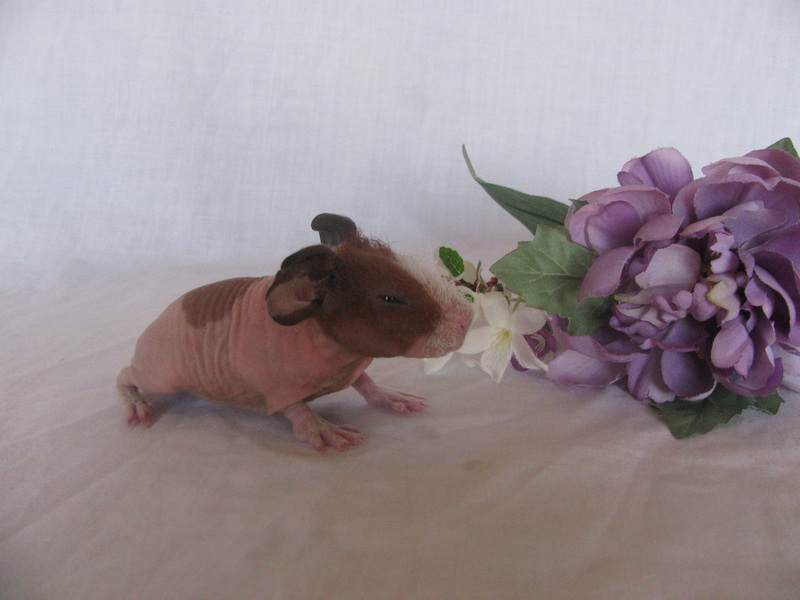 BB's Catcher Boar Colors: Lilac & White (Dark red eyes) DOB: July 26th Sire: Bently Dam: Java Price: $85 Price Reduced! Sold! 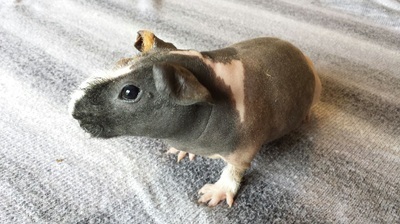 BB's Slider Sow DOB: July 26th Colors: Lilac & White Sire: Bently Dam: Java Price: $110 SOLD! 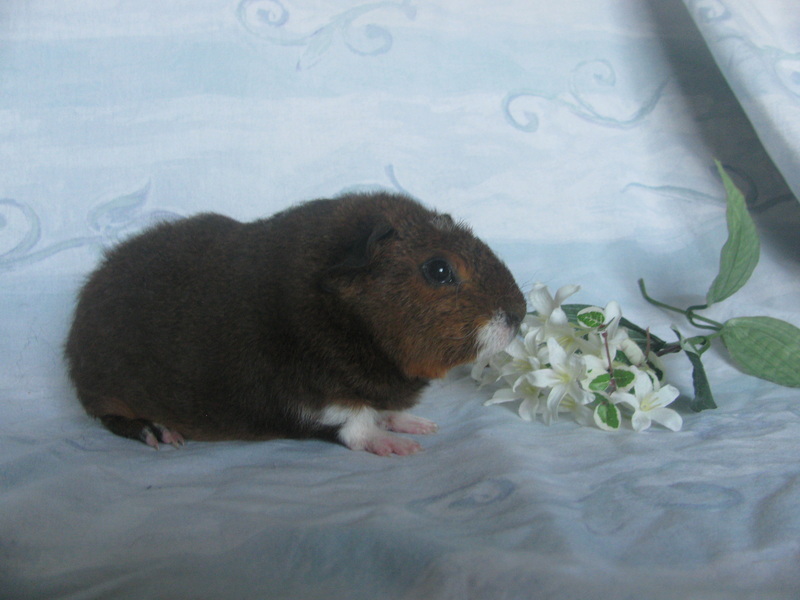 BB's Fauna DOB: July 6 Colors: Golden Agouti, Red & White Breed: Mixed Breed (Fur may stay short or grow out. It is very soft though) Sire: Patches Dam: Zoey Price: $45 Reserved for Andrea! 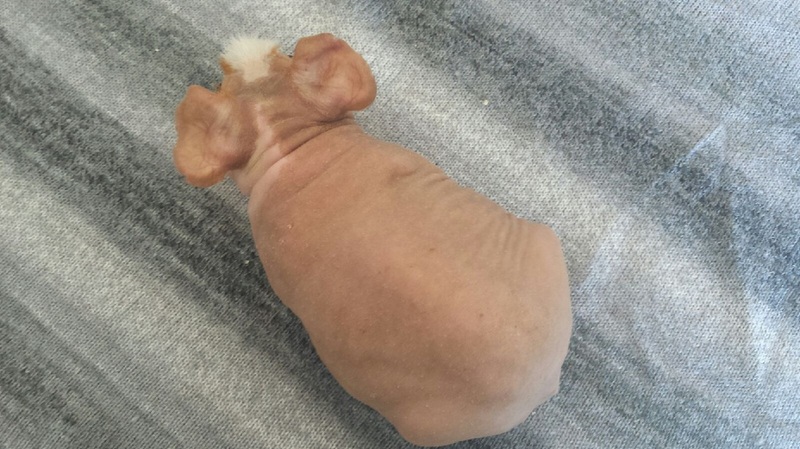 BB's Peach DOB: July 6th Colors: Red & White Breed: Mixed Breed (Fur may get longer or stay short however it is very soft) Sire: Patches Dam: Zoey Price: $45 Sold to Andrea! Tressa Girl Peruvian! 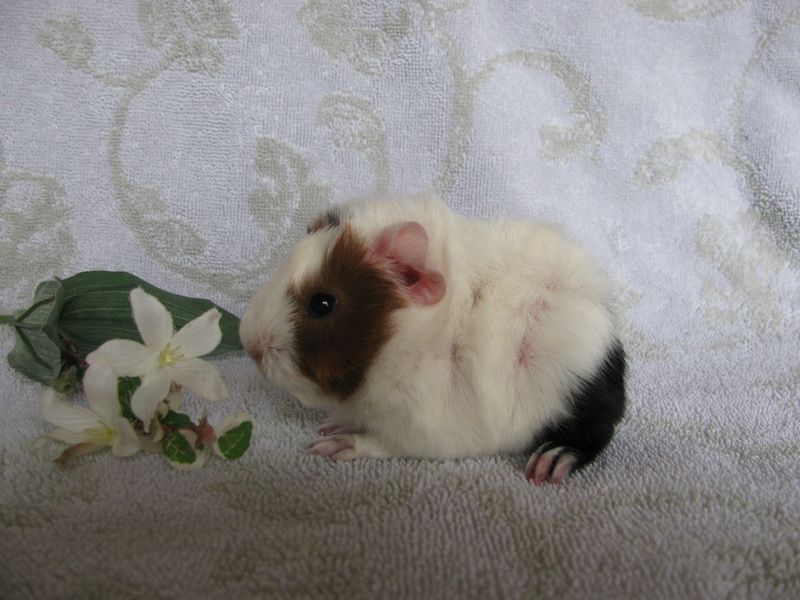 Colors: Red & White Born: March 13, 2012 Sire: FT's Indy Dam: FT's India Price: $45 Reserved for Julie! Daisy Girl Silkie! Colors: Red/White (Small amount of black on foot) Born: March 13, 2012 Sire: FT's Indy Dam: FT's India Price $45 Reserved for Julie! MMF's Bently Color: TSW Bently is approximately 3 years old. I would really like for him to go to a pet home where he will be spoiled. He is very sweet and loves to be held tight. Bently does not get along well with other boys. Price: $50 SOLD TO AMBER! Bugs Boy! Color: Lilac, Orange & White Approximately 6 weeks old Sire: Unknown Dam: Unknown Bugs was a rescue who is looking for a good home! Price $10 Sold! 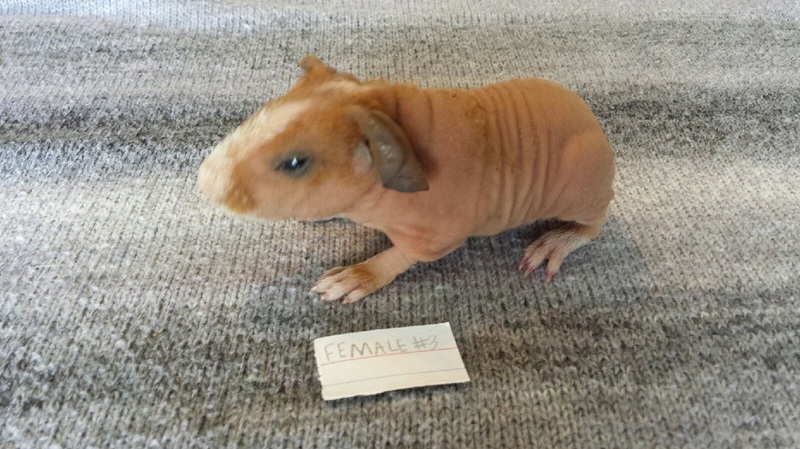 BB's Pongo Sire: Onyx Dam: Gingernut Breed: 2nd Generation Skinny Pig Gene Carrier Beautifully marked dalmatian!! Price: $45 Reserved for Julie! 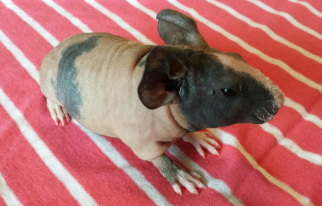 HHH'/K&J's Domino Sire: Pending Dam: Pending Colors: Dalmatian Roan Breed: 1st Gemeration Skinny Pig Gene Carrier Price: $40 Reserved! DKC's Mercedes Girl! 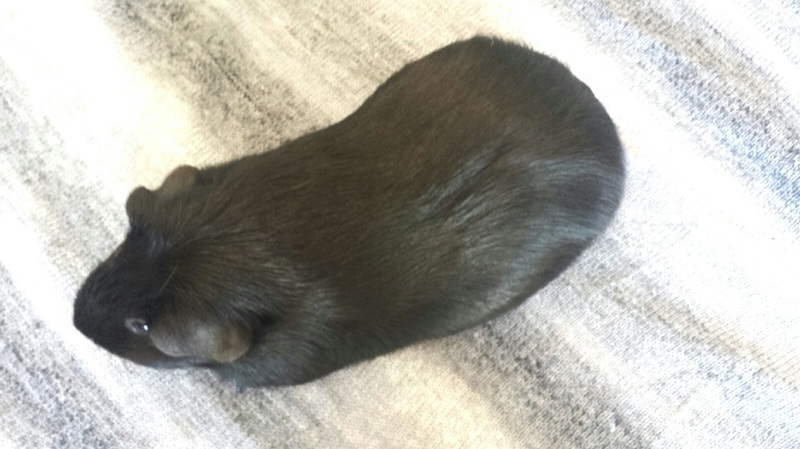 Color: Black with white toes Sire: WTS's Oreo Dam: BB's Amelia Mercedes is very sweet! She also carries the dalmatian gene and skinny gene. Price: $25 Sold! BB's Sadie Girl! Color: Self Black Born: February 6, 2012 Sire: BB's Pongo Dam: HHH's Hallie 2nd Generation Gene Carrier! Also carrier the dalmatian gene! Price: $45 Sold to Amanda! 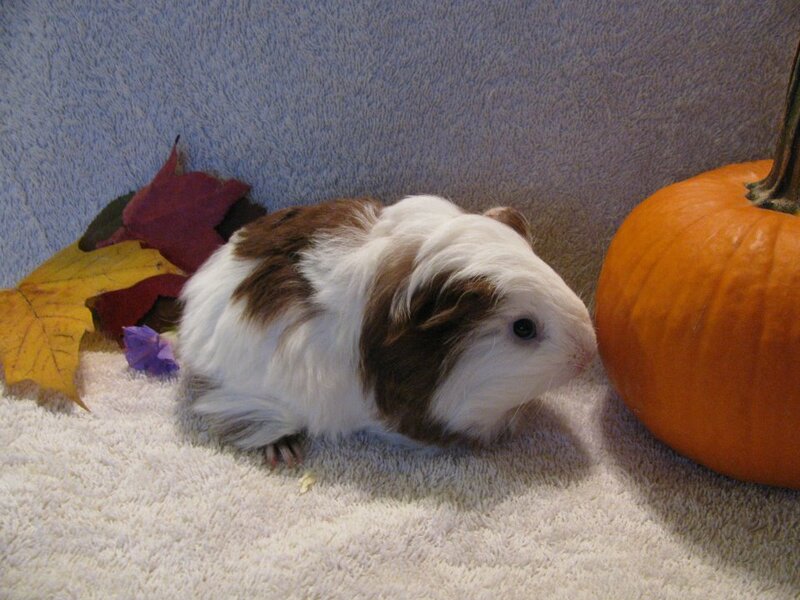 BB's Aidan Sire: Indy Dam: India Colors: TSW Breed: Silkie DOB: May 3rd, 2011 Price: $25 Sold! BB's Skip Girl! DOB: October 28th, 2011 Colors: Black & White Sire: Dominos Dam: June Price: $100 Sold to Julie! She carries the dalmatian gene! 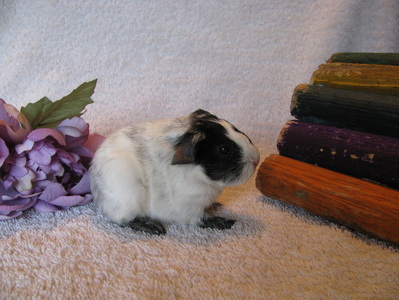 Minnie Girl Born: October 10, 2011 Colors: Black & White SIlkie Sire: Aidan Dam: Blaze Price: $45 Reserved for Tommy! 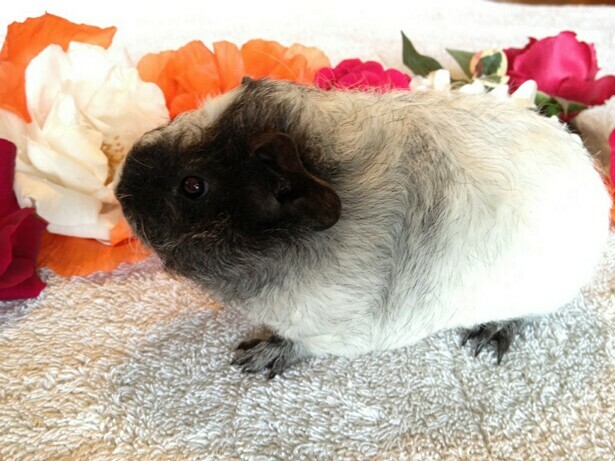 Castaway's Nash Boy Appriximately 2 years old Colors: Black & White Silkie Sire: Pending Dam: Pending Price: $15 AVAILABLE! 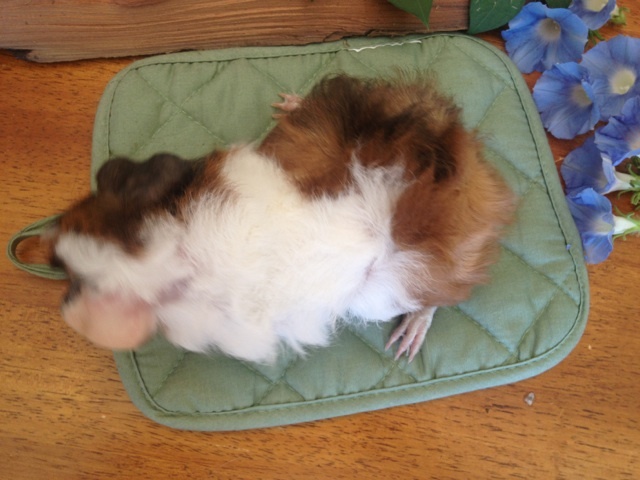 BB's Posey Sow Color: Red with 1 white paw DOB: August 19th, 2011 Sire: Gremlin Dam: Hallie Price: $90 Sold to Kirsta! 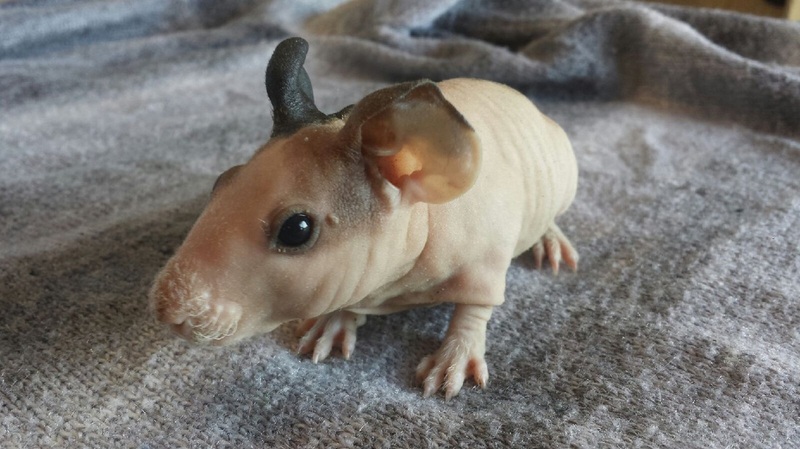 Despereaux Boy Born: September 18th Colors: Black, Cream & White Sire: DKC's Noah Dam: Kallie Price: $20 Sold to Kirsta! Cici Sow DOB: September 17, 2011 Colors: Black, Red & White Sire: Indy Dam: India Price: $45 Sold to Jamie! 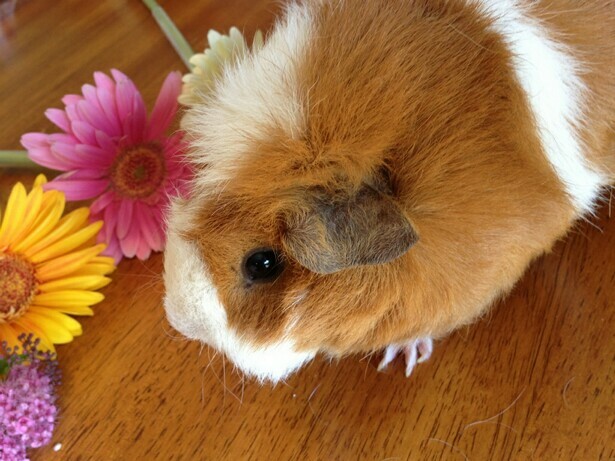 BB's Ginger Sow Color: Self Red DOB: August 19th, 2011 Sire: Gremlin Dam: Hallie Price: $90 Reserved for Charlotte! 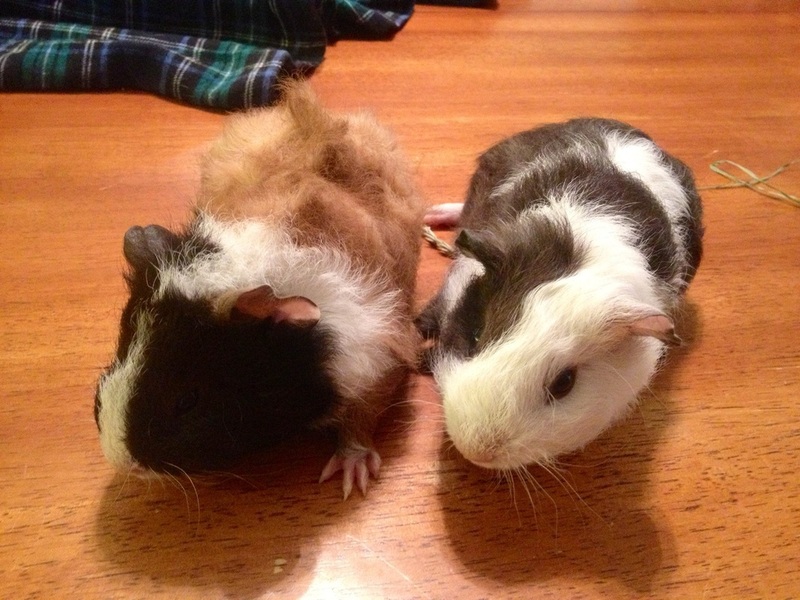 Doug & Spot Boars DOB: Late April, 2011 Colors: Black, Red & White Parents Unknown Price:$20 for both of them together! Sold! Doug & Spot are two rescues who have been rehomed multiple times. They are great with kids and are very calm! 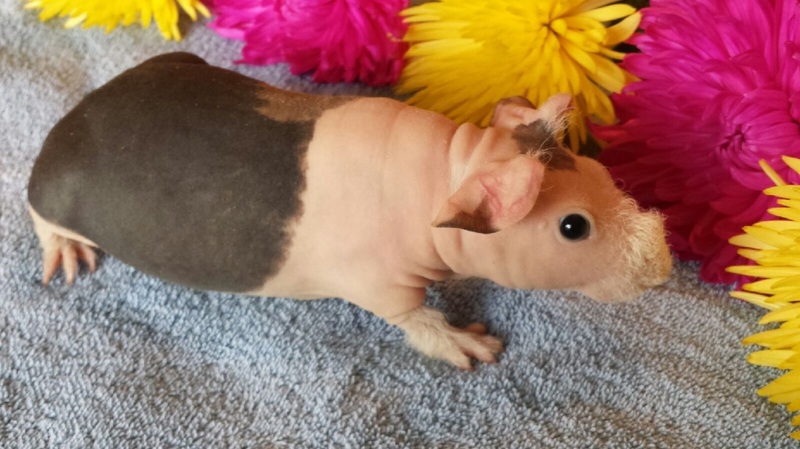 BB's Slugger Boar DOB: July 26th Colors: Lilac & White Sire: Bently Dam: Java Price: $85 Price Reduced! Sold! 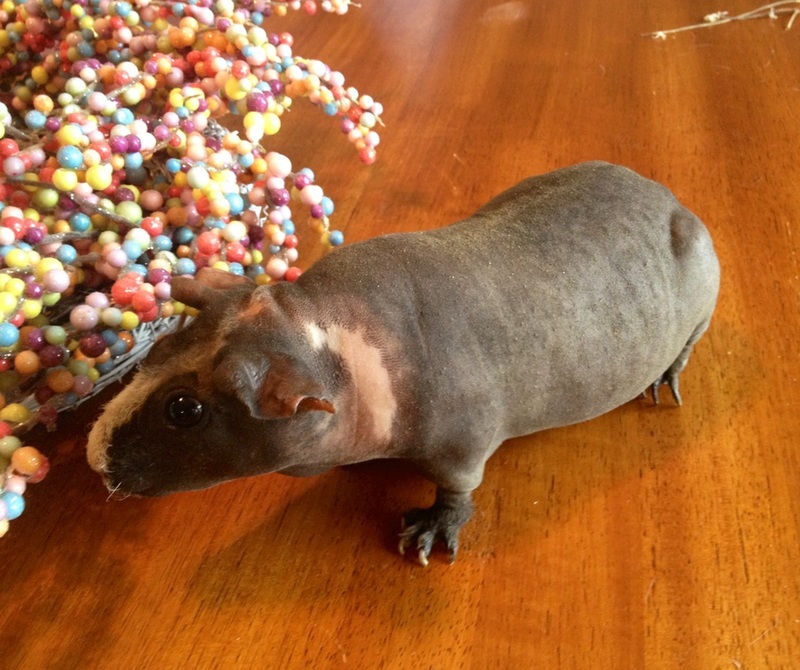 BB's Reno Colors: TSW (Black, Red, & White) Boar DOB: Appx. Oct 2010 Sire: Unknown Dam: Unknown Price: $25 SOLD! 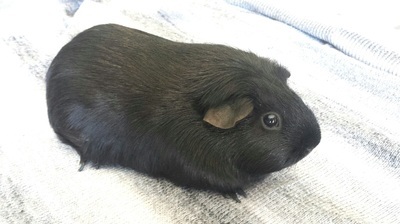 BB's Bolt DOB: July 6th Colors: Black, Red & White Breed: Mixed Breed His fur looks as if he will look like Zoey's Sire: Patches Dam: Zoey Price: $40 Sold to Dawn! 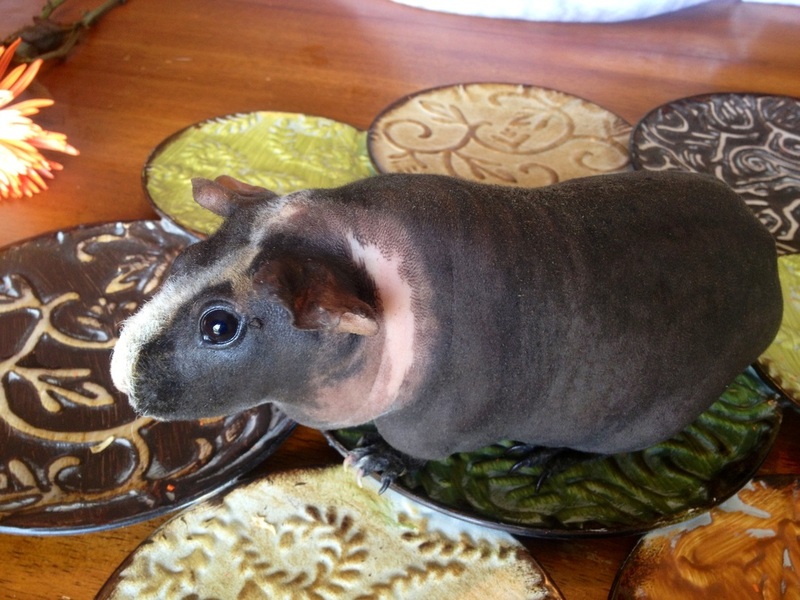 BB's Mulan DOB: July 6 Colors: TSW (Black, red, & white) With brindle Breed: Mixed breed (Fur may stay short or grow out. It is very soft) Sire: Patches Dam: Zoey Price: $45 Sold to Melissa! BB's Lucas Boy! 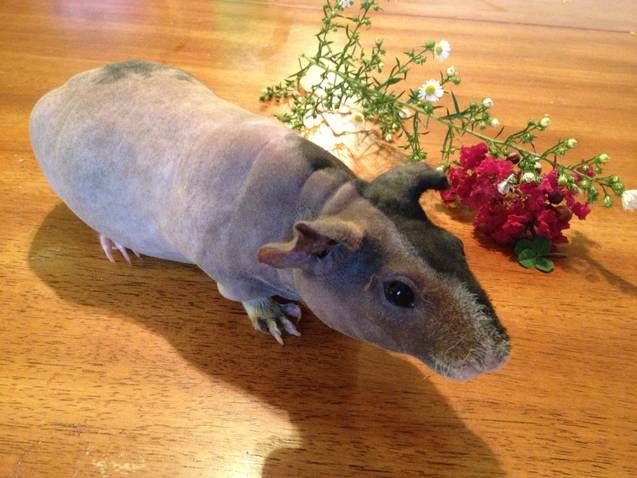 DOB: May 14th, 2011 Sire: SLC's Slider Dam: HHH's June Color: Goregeous TSW Very hairless skinny pig! 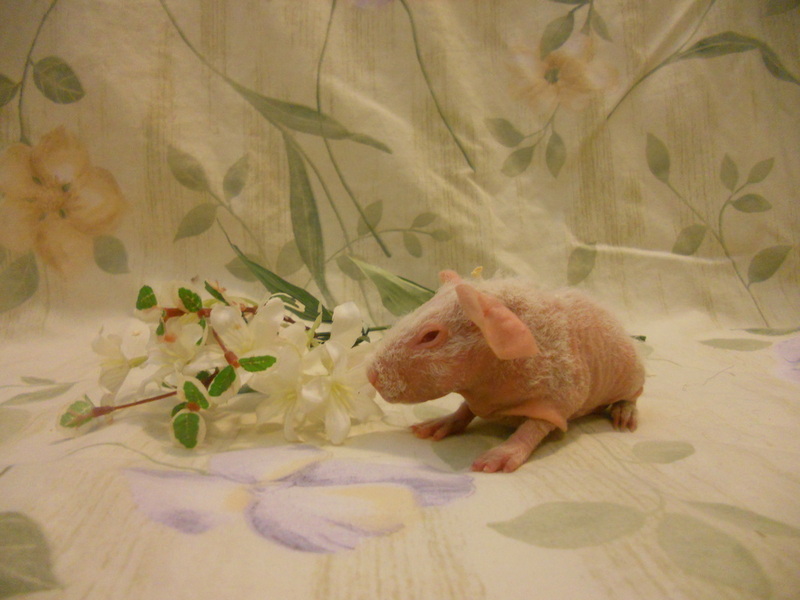 BB's Spots Boar Sire: BB's Pongo Dam: HHH's Hallie Colors: Roan/Dalmatian Price: $70 SOLD! BB's Speckles Girl Sire: HHH's Gremlin Dam: K&J's Gingernut Born: April 9th, 2012 1st Generation Gene Carrier! Color: Roan/dal! Price: $45 Sold to Natalie! Absolutely gorgeous baby! Would make a fantastic breeder in a roan program! BB's Nim Girl! DOB; May 14th Sire: SLC's Slider Dam: HHH's June Colors: Lilac & White Adorable! Price: $100 Sold to Natalie! 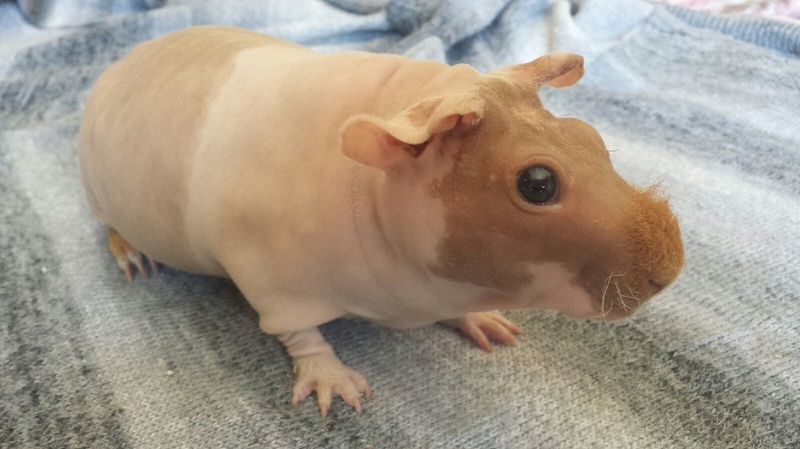 BB's Little Red Boy Skinny Pig! 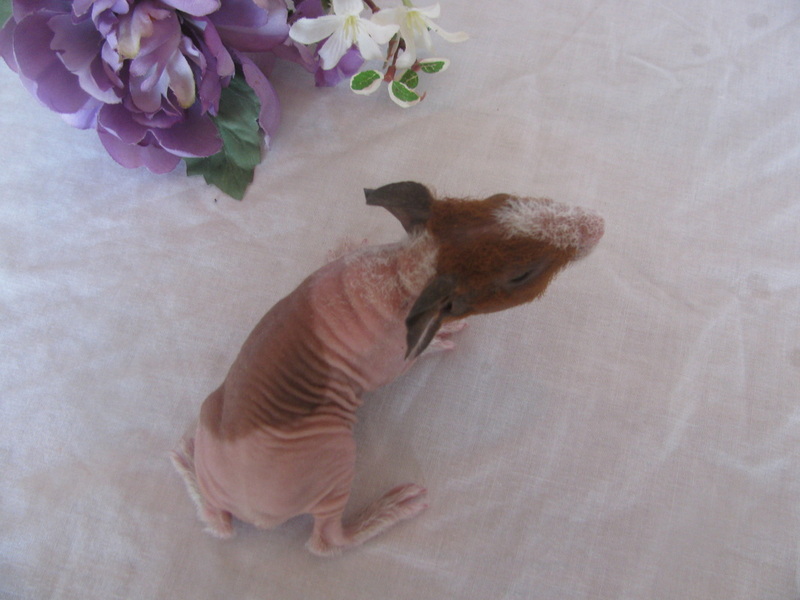 Color: Self Red Sire: HHH's Gremlin Dam: DKC's Ester Born: March 9, 2012 Price: $80 Sold! Gingernut Sire: Drame Dam: Blazer Sold to Grace H! BB's Ross Boy! 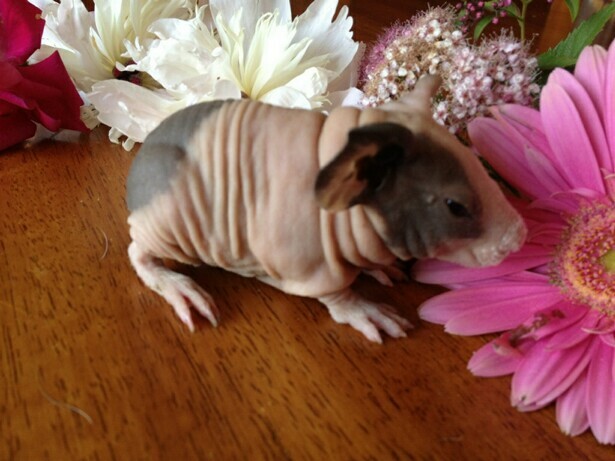 DOB: May 14th Sire: SLC's Slider Dam: HHH's June Colors: Lilac & White Price: $90 Sold to Shana! 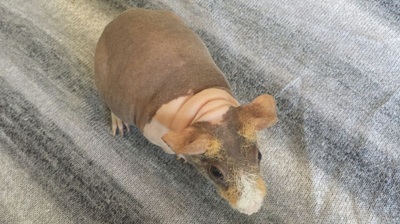 BB's Dash Boy Skinny Pig! 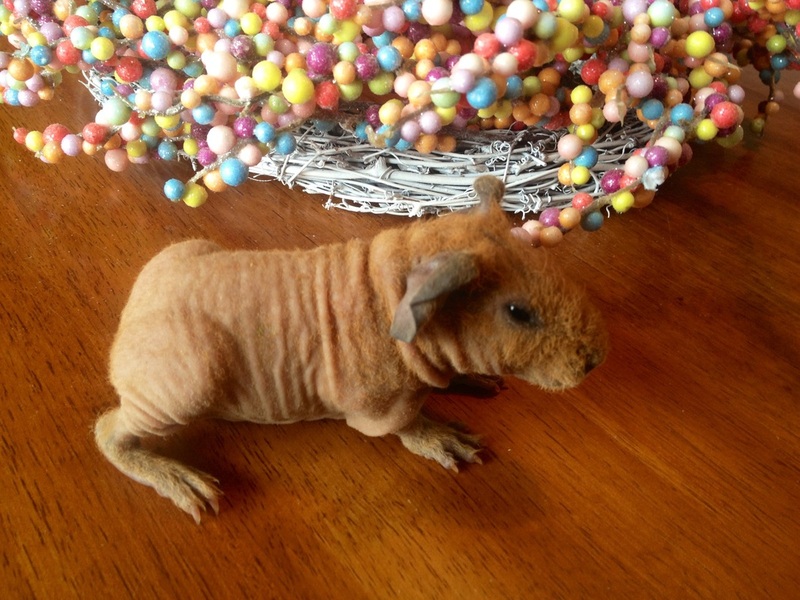 Color: Self Red Sire: HHH's Gremlin Dam: DKC's Ester Born: March 9th, 2012 Price: $80 AVAILABLE! 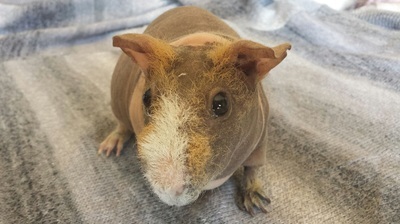 Hera Girl Color: Golden Agouti 2nd Generation Gene Carrier Born: February 27, 2013 Sire: Peeta Dam: Mousse Price: $30 Sold to Stacie! 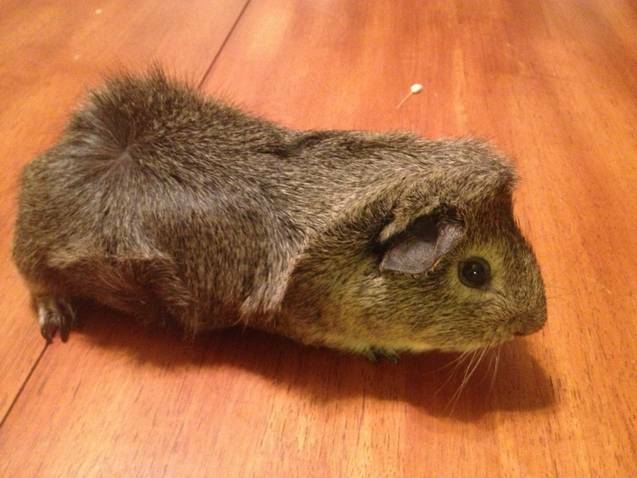 Rhea Girl Color: Golden Agouti Born: February 27th, 2013 Sire: Peeta Dam: Mousse Price: $110 Sold to Natalie! 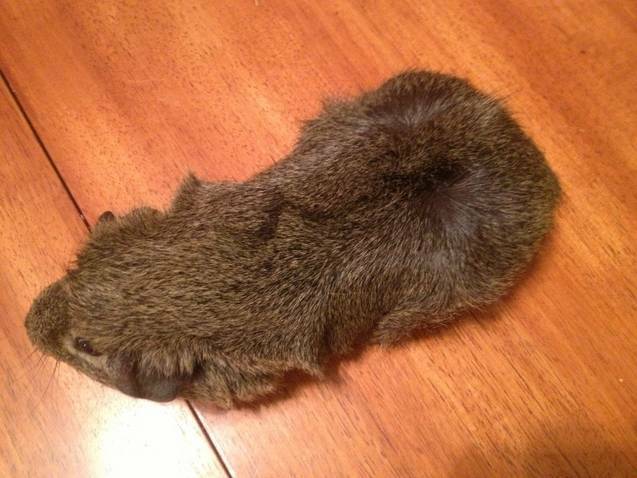 Ares Boy Born: February 27, 2013 Color: Golden Agouti Sire: Peeta Dam: Mousse Price: $100 Reserved for Whitney! 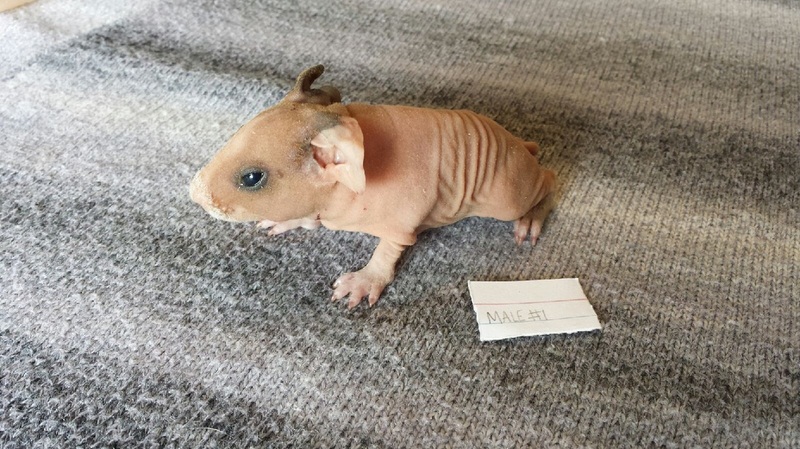 Titan Boar Born: March 4th, 2013 Color: Self Red Sire: Gremlin Dam: Mira This boy would make a fantastic addition to any breeding program! He has a great short nose! Price: $100 Reserved for Stacie! 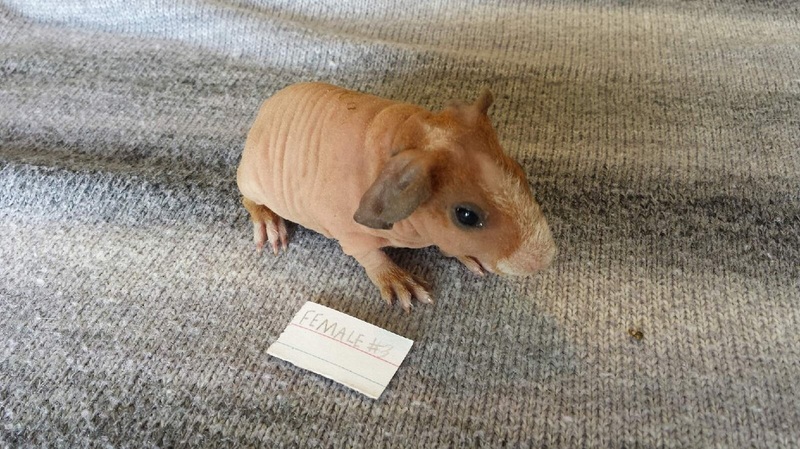 Fenton Boar Born: March 4th, 2013 Color: Self Red Sire: Gremlin Dam: Mira This fuzzy boy would make a great pet! Price: $90 Reserved for Beth! 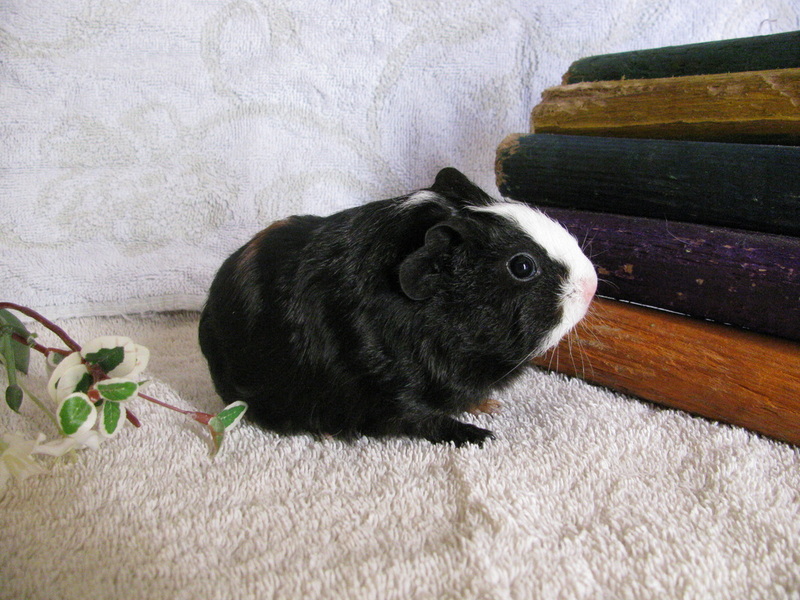 Pluto Girl Born: March 12, 2013 Color: Black & White Sire: Milo Dam: Katty Price: $90 Reserved for Kristin! Caesar Boy Born: March 12, 2013 Color: TSW (Black, Red & White) Sire: Milo Dam: Katty This boy has extremely bright colors and is overall gorgeous! Price: $115 Reserved for Natalie! 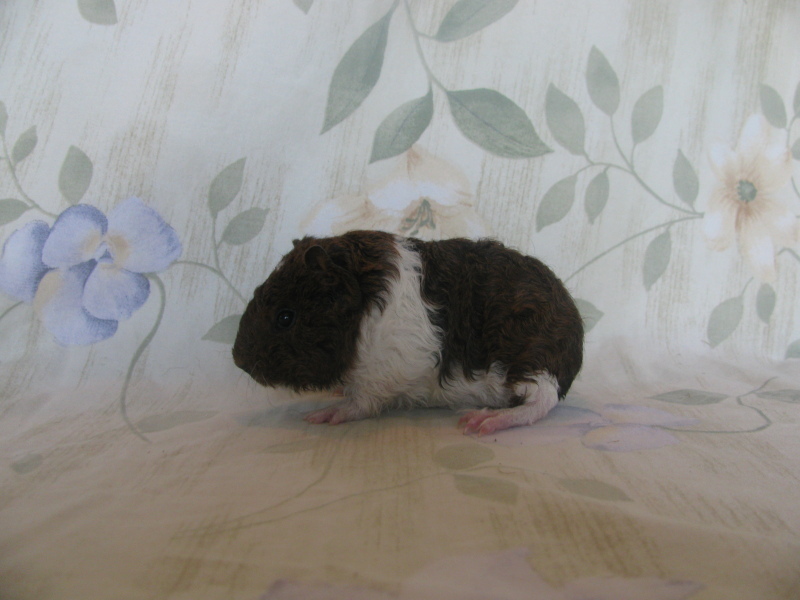 Fresco Boy Born: March 12, 2013 Color: TSW (Black, Red & White) Sire: Milo Dam: Katty This boy is our pick of the litter! He has a fantastic body, head, and colors along with being very hairless! He would make an amazing addition to any breeding program! Price: $120 Reserved for Stacie! *Fantastic pig who would make a great pet! Sadie is an older girl looking for a pet home only. 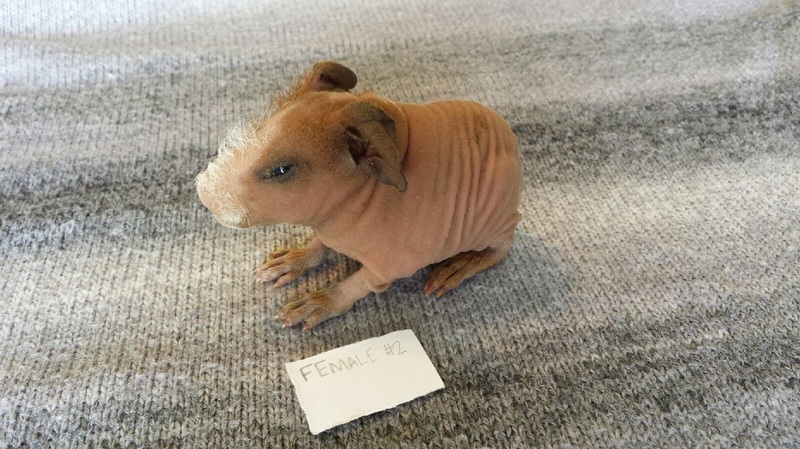 She is very social and would make a great kid's pet! 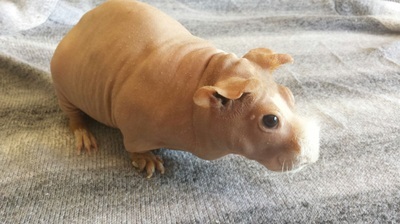 Big Wilbur will only be sold with his brother Little Wilbur. 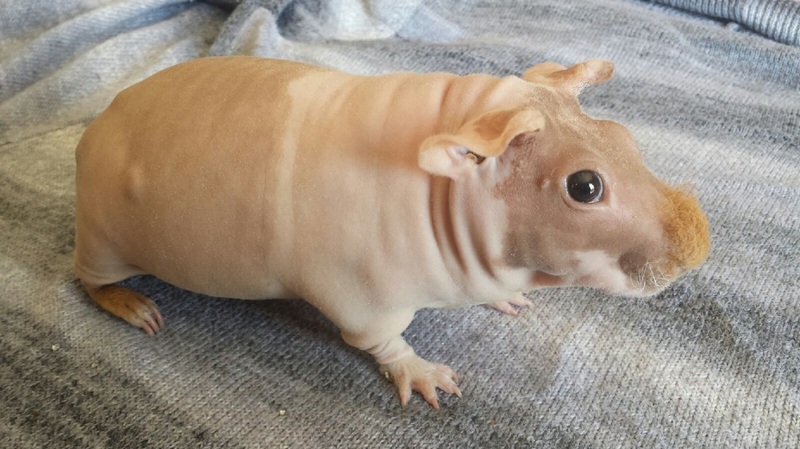 Little Wilbur will only be sold with his brother Big Wilbur. BB's Joy Girl! DOB: August 29th, 2010 Color:Cream & White Dam: Baruti Sire: MMF's Peter Pan Joy is an older girl looking for a pet home only. She will only be sold with her daughter Hope. Price for both Joy & Hope: $70 AVAILABLE! 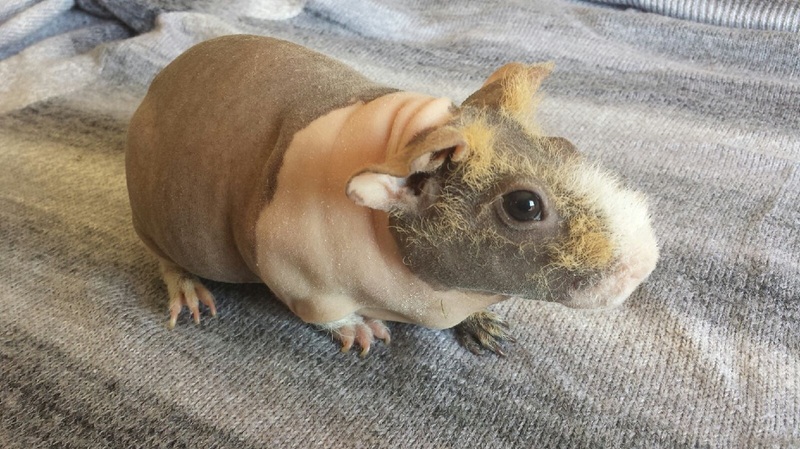 Joy is an older girl looking for a pet home only. She will only be sold with her daughter Hope. 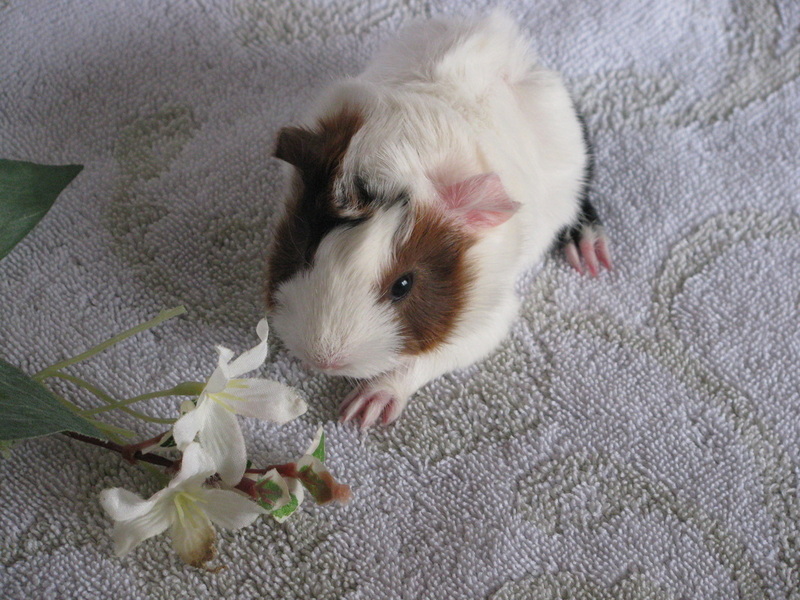 Hope DOB: 2011 Color: Cream & White Sire: Mr. Piggers Dam: Joy She is an older girl looking for a pet home only. She will only be sold with her mom Joy. Price for both Hope & Joy: $70 AVAILABLE! BB's Sheldon Boy! 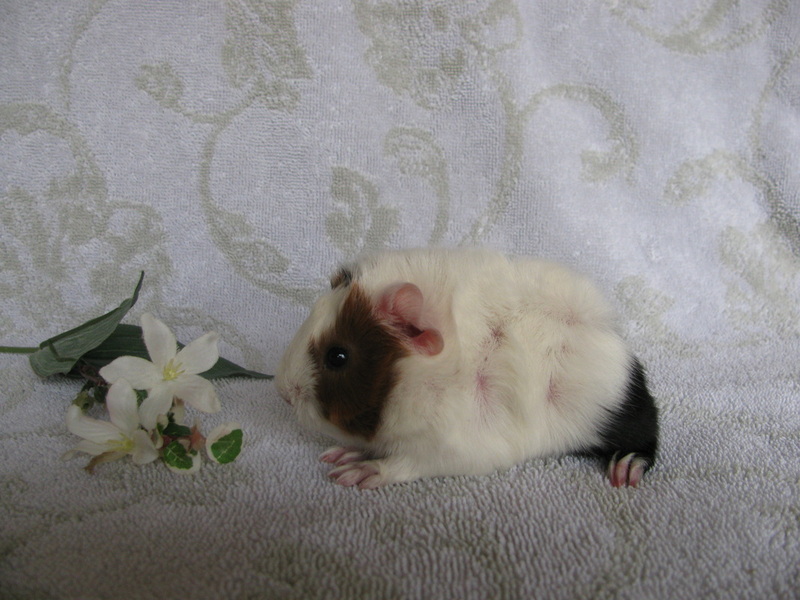 Sire: Cinna Dam: Peeta Colors: Black, Red & White (TSW) DOB: March 14, 2014 Price: $140 Pending to Ginger & Madie!